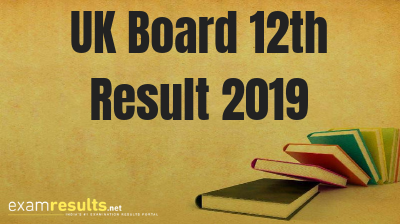 April 02, 2019: The Uttarakhand Board of School Education (UBSE) usually announces the UK Board 12th result 2019 during the month of May. The UBSE officially conducts the UK Board Class 12 (Intermediate) exam during the month of March. You can check your UK Board 12th result 2019 on this page. This year, the UK Board Class 12 (Intermediate) exam(s) will begin on 01 March, 2019 and end on 26 March 2019. The UK Board 12th result 2019 is expected sometime in the month of May, 2019. The official Class 10 exam dates for the academic year 2018-2019 have also been announced by UBSE. The exams commence on 06 March, 2019 and it will continue up to 24 March, 2019. For regular updates about the UK Board 12th result 2019, sample papers, Uttarakhand Board Class 12 time-table keep visiting this website. Look for the link which says UK Board 12th result 2019. Click on the link and fill in all the details to get your Uttarakhand Board Result 2019 Class 12. The UK Board Class 12 (Intermediate) exam(s) 2018 began on 5 March, 2018 and ended on 24 March, 2018. The UK Board Class 12 (Intermediate) exam 2018 result was announced on 26 May, 2018. Around 1.3 lakh students sat for the UK Board Class 12 (Intermediate) exam(s) 2018. The state recorded a passing percentage of 78.97%, with girls outperforming the boys. The UK Board 12th result 2019 can be expected to be announced in the last week of May, 2019. Where to Check UK Intermediate Result 2019?